Lisbonne - FER, N. de. Map maker : FER, N. de.. Size : 9.3 x 13.0 inches. / 23.5 x 33.0 cm. 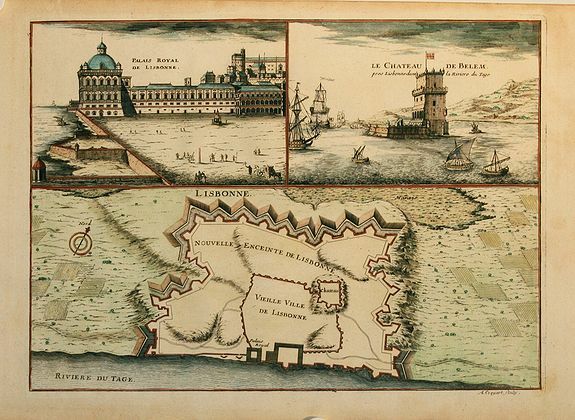 Description :This sheet combines a bird's-eye plan of the fortifications of Lisbon with two finely engraved views. At left is the "Palais Royal de Lisbonne" and at right "Le Chateau de Belem."